A Birmingham arts trail featuring pictures taken by internationally-respected photographer Vanley Burke will be unveiled this summer. The My Route Exhibition Trail features striking images of the Stratford Road and its residents by Burke, combined with sound installations by pioneering artist Brian Duffy, best known for his work with the Modified Toy Orchestra. The large-scale photographs will be located on buildings along a three-mile length of Stratford Road, accompanied by sound installations at street-level. It is hoped that together they will paint a picture of what it is to live and work on the road, giving an insight into the rich history of the area. The exhibition is the culmination of an 18-month heritage project led by Sampad South Asian Arts and supported by the National Lottery through the Heritage Lottery Fund. Curator Tasawar Bashir has worked with Sampad to select images and sounds related to the immediate surroundings of each outdoor installation, together creating an insight into life on Stratford Road from the 1940s to the present day. Bashir said: “This exhibition is the highlight of 18 months of research into what it has meant to live on Birmingham’s Stratford Road. “This area has been home to so many different types of people and has seen so many changes. Volunteers and researchers have interviewed local residents and carried out extensive archival research to unearth the area’s hidden histories. The stories that have emerged describe the profound changes seen in the area over the past 70 years. 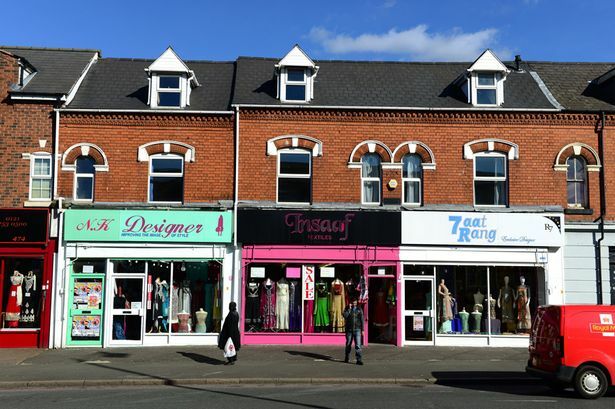 Stratford Road experienced significant bomb damage during the Second World War and Sampad’s researchers have captured some of the personal stories of native Birmingham residents from this period. The area went on to host numerous changing communities, including Irish, Indian, Pakistani and Somali migrants. With each new group of people came different cultures and ways of living. Full details of the installations and associated walking tours will be released prior to the exhibition which takes place between Saturday, June 13 and Friday, July 10. The arts trail comes at the same time as a nationwide fundraising appeal to help move the entire contents of Burke&apos;s Nechells flat to the Ikon Gallery in Brindleyplace. The Art Fund launched the £17,000 appeal to finance the &apos;ambitious&apos; project through its Art Happens curated crowdfunding platform.